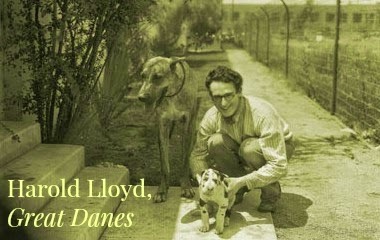 The great silent screen actor Harold Lloyd really loved dogs, especially Great Danes. His favorite was “Prince” who often appeared in family photographs and home videos. Lloyd had as many as 65 Great Danes, maybe even more, in his kennel on his Greenacres estate. He bred Great Danes and entered them in shows, winning blue ribbons along the way, and he also kept St. Bernards and Scottish Terriers. He loved his dogs iso much it's been said that he even set aside a plot of land on Greenacres to serve as a dog cemetery. Whatever the reason, it must have hurt Lloyd to lose more than half of his kennel during the war. 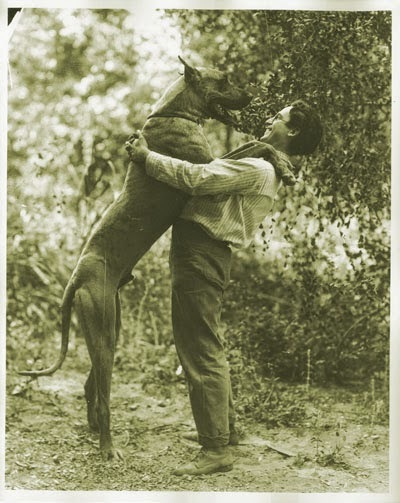 Lloyd’s Great Danes were a source of pride for him, his kennel was considered one of the best in the world and Hollywood filmmakers would even borrow his dogs for movies. 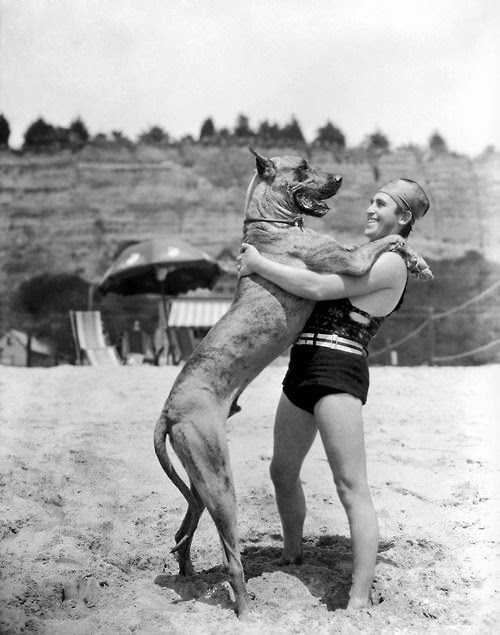 Some of his prized Great Danes can be seen in the film The Most Dangerous Game (1932).